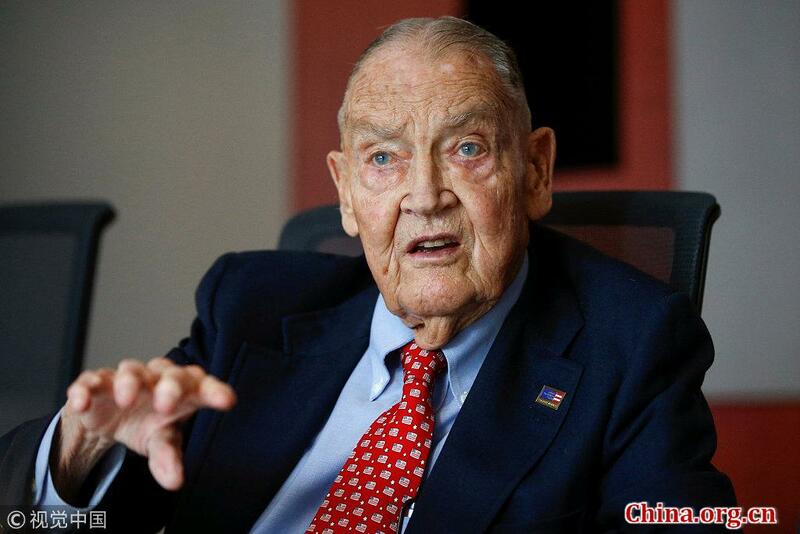 John Bogle, founder of Vanguard Group and creator of index mutual fund, died on Wednesday in Bryn Mawr, Pennsylvania, at the age of 89, according to a statement from Vanguard. Bogle founded Vanguard, one of the world's largest investment management companies, in 1975, and later served as chairman and CEO until 1996. The company has about 4.9 trillion U.S. dollars in global assets under management and serves more than 20 million investors in about 170 countries. Under Bogle, Vanguard introduced the first index mutual fund-First Index Investment Trust-for individual investors in 1976. Initially greeted with skepticism, the fund now known as the Vanguard 500 Index Fund, has grown to be one of the industry's largest, with more than 441 billion dollars in assets. Its sister fund, Vanguard Institutional Index Fund, has 221.5 billion dollars in assets, according to the company. Bogle made "an impact on not only the entire investment industry, but more importantly, on the lives of countless individuals saving for their futures or their children's futures," said Vanguard CEO Tim Buckley in the statement. "He was a tremendously intelligent, driven, and talented visionary whose ideas completely changed the way we invest. We are honored to continue his legacy of giving every investor 'a fair shake,'" Buckley went on. Fortune magazine named Bogle one of four "Giants of the Investment Industry of the 20th Century" in 1999. Time named him one of the world's 100 most powerful and influential people in 2004. In 2010, Forbes magazine described him as the person who "has done more good for investors than any other financier of the past century." Bogle was born on May 8, 1929, in Montclair, New Jersey. He married Eve Sherrerd in 1956. They had six children, 12 grandchildren and six great-grandchildren, according to the statement. ​John Bogle, founder of Vanguard Group and creator of index mutual fund, died on Wednesday in Bryn Mawr, Pennsylvania, at the age of 89.